Leah and Melissa are traveling through the night to reach their grandparents’ house in time for Christmas. Brent is nervous because he has to play an organ piece at a Christmas concert. Mark and Meghan have a secret. The children in this book have many things that happen to them. They all happen around Christmas time. Christmas is a busy time, and everywhere you look, the world seems to be celebrating. It is easy to forget the true meaning of Christmas. It isn’t at all a celebration of pretty lights and colorful gifts, nor is it “just” a Bible story. What is a true Christmas? 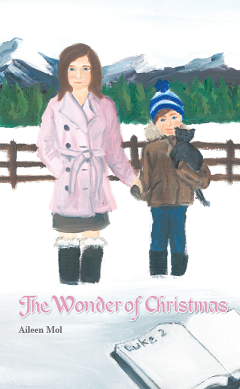 What is the wonder of Christmas? Have you ever thought about it? It is so easy to get carried along with the cheer and fun all around. It is my hope that this book of stories will help you to think about some of these very important things. Who will deliver a sermon book to a lonely, old man in a nursing home who longs for Christmas? Will poor, confused Ellen celebrate Christmas too this year? Read these stories and find out more. These stories are best suited for children age six through eleven.